Happy New Year, friends! Who’s ready to take ownership of our dreams and those little promptings on your heart this year? I know I am! As I was getting organized and planning out our 2019 for business I created this calendar and thought it could be a useful resource for you! You can print each month and we’ve included space to write goals to the left of your calendar. I included a checklist for what we will be using this calendar for! I hope the checklist is a great tool for you when thinking through designing your year with intention. Do you want to launch a website, product, or course? Are you hoping to show up more online for your community and offer them more valuable content? Do you plan to refine your marketing strategy to have greater impact? If you would like help designing your year or if you have big dreams and goals that you need some assistance with we would love to help! The customer should be the hero of your story, not your brand. Position yourself as the guide, not the hero. Customers trust a guide who has a plan of action laid out that they can take. Everybody wants to be taken somewhere. Never assume a customer knows how your brand can change their lives. Clarify your message. Start with one simple desire that is relevant to their survival (economic and / or social resource). If a consumer is confused they will leave your website without taking action. There are SO many other nuggets of gold in this book along with resources to help you clarify your message. He also lays out specifics about what your website needs for optimal clarity and conversion. I created this FREE Branding Worksheet so you can process and clarify your message today! Do you ever have those days where you just don't have an image to post, but you have something to say? It can be so frustrating! 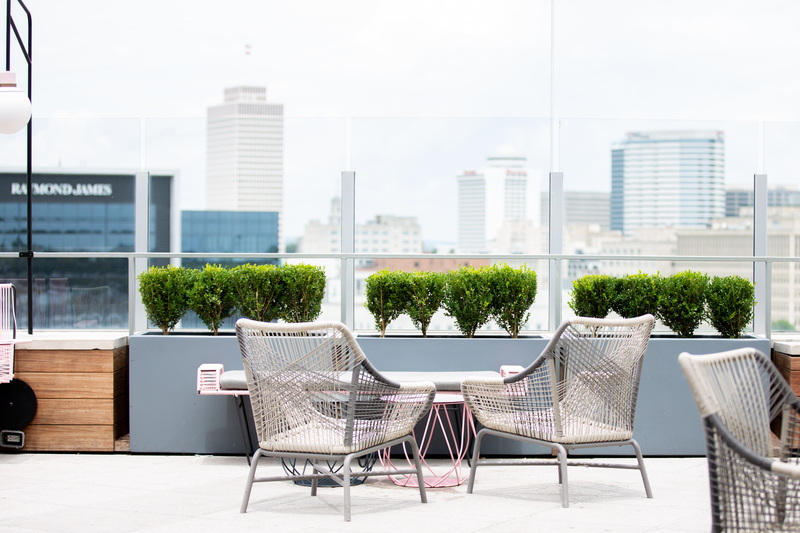 We are sharing six free stock images that you can keep on hand for such a time as this. We got your back! No strings attached. We won't spam you. We will send you 6 FREE stock images and let you know when new resources are available! Welcome to the Curative Community. Instagram stories are one of the most powerful tools to connect with your community in an authentic way giving them an opportunity to really get to know you and see you un-staged and imperfect. This is really what we are all looking for, aren't we? So here's your chance! We have the opportunity to show up for one another, share encouragement, expertise, and just laugh at the crazy things life throws our way. Others will want to be a part of your community because of YOU, so give them the chance to get to know you. 1) IT'S LESS CURATED - you have more of an opportunity to share the real life moments as they are happening. People want to connect with you on a human level and see everyday tidbits and this is a great way to do it! The beauty is... it doesn't have to be perfect and it shouldn't be! Allow your audience to get a glimpse into your real life and share it with them. 2) IT'S A GREAT TOOL FOR MARKET RESEARCH - It's vital that you are listening to your audience and producing more content that they will find value in, engage with, and keep coming back for. The Polls and Questions features are great ways to ask specific questions and gain insight from your community. 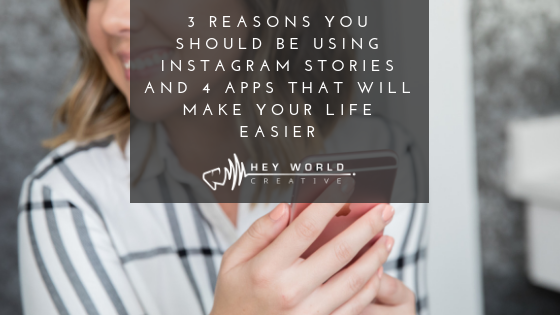 3) IT'S A GREAT WAY TO DIRECT YOUR COMMUNITY - with Instagram's algorithm your posts may not always show up in your audience's feed, so stories are a great way to share that you posted something new and encourage them to check it out. You can share a piece of your post with a little mystery to spark their interest to go to your feed to see or engage. You can also share a specific call to action to guide your audience to a new blog post, video, or a special offer. If you have 10,000+ followers, are a verified account, or are using Instagram Ads you can use the "swipe up" feature with a direct link or you can direct them to your link in profile. So what might be holding you back from showing up on Instagram Stories? That's right people! The "f" word. It keeps us distant from connection and feeling incapable of being present for our community in any real capacity. Listen up, it's a lie. Your audience wants YOU to show up. They want to see what your real life moments are, hear what your real thoughts are, and they are not going to care if you have mascara on or not. The important thing is that you are showing up consistently and listening to your community. You got this! Here are some of our favorite apps to help along the way! STORY ART - Provides you with beautiful templates that you can customize for your story. WORD SWAG - Allows you to put text over their free images and backgrounds or your own images for quotes or other creative stories. CUTSTORY - Allows you to cut long videos into clips for your stories or make slideshows. RESIZE - Resize images and video to fit in your story and customize the background. Drop a comment if this was helpful!